The Arkbird, a collaborative project and symbol of detente between Osea and Yuktobania. The SOLG deorbits towards Oured. In Osea, the Harling Administration's defense cuts proved unpopular within the military establishment, leading many officers to resign in protest. The mutual distrust that persisted between the superpowers enabled a group of Belkan ultranationalists, known as the Grey Men, to infiltrate both governments. Seeking revenge for their defeat in the Belkan War, the Grey Men empowered pro-war elements in Osea and Yuktobania, and secretly retained sleeper agents in the superpowers' militaries. The plot began sometime in 2010 with a palace coup against Yuktobania's Prime Minister, Seryozha Nikanor. An advocate of closer relations with Osea, he was deposed by an anti-Osean junta supported by the Grey Men. Throughout September, Yuktobania's air force and navy probed Osea's west coast with manned and unmanned aircraft. These reconnaissance flights encountered the Sand Island Detachment of the 108th Tactical Fighter Squadron on numerous occasions. Despite the training unit suffering several fatalities, the Osean government clamped down on information relating to the incidents, hoping to solve the problem diplomatically. Osea sought to protect the 3rd Fleet's carriers by relocating them to the Bannion Sea. The OFS Kestrel, Buzzard, and Vulture transited the Eaglin Straits on September 29th, surviving waves of tactical fighter strikes before coming under fire from submarine-launched ballistic missiles (SLBM). These SLBMs, later determined to have been launched from the Scinfaxi, sunk the Buzzard and Vulture, leaving only the Kestrel afloat. The loss of so many carriers was a tremendous blow to the Osean war effort, and it forced President Harling to authorize drastic measures. The Arkbird, touted by Harling himself as a symbol of peace and built with Yuktobanian involvement, was fitted with an offensive laser previously omitted from the design due to its potency as a weapon. On October 4th, the Yuktobanian Navy attempted an amphibious assault on Sand Island; the Arkbird's laser intercepted many of the Scinfaxi's SLBMs and contributed to sinking the submarine, prompting the Yukes to withdraw. The Arkbird's anti-ballistic missile (ABM) capabilities brought about a strategic balance between Osea and Yuktobania. Throughout most of October, neither side attempted any major offensives. President Harling, believing that the Arkbird gave Osea a decisive advantage, attempted to arrange secret peace talks in the neutral nation of North Point. His journey was plagued by acts of sabotage, and ultimately intercepted by Yuktobanian fighters that managed to penetrate Osean airspace. Harling survived the forced landing, but found himself in the care of the 8492nd Squadron - a Belkan sleeper cell posing as an OADF squadron. Taken into custody and imprisoned by the Grey Men in a remote castle in the Waldreichs, Harling's disappearance left a power vacuum in Oured. A pro-war cabal led by Vice President Appelrouth took control of the federal government, and the Arkbird's ABM laser was disabled by a saboteur. The Osean junta quickly authorized an expeditionary invasion of Yuktobania; Osean forces landed on the Bastok Peninsula on November 1st. The Osean military openly declared that its strategic goal was regime change, and propaganda emphasized the oppressive nature of Yuktobania's junta. However, false flag attacks on civilian targets perpetrated by the 8492nd further inflamed the Yuktobanian people. On November 4th, Yuke special operations forces dispersed nerve gas in Bana City, killing or injuring over 300 Osean civilians. The Osean military began to break out of the Bastok Peninsula over the next two weeks. The Yuktobanian military, seeking to preserve its remaining strategic assets, deployed its remaining Scinfaxi class submarine to the arctic. Utilizing the same non-nuclear SLBMs as the Scinfaxi, the Hrimfaxi fired on Osean forces and halted their advance on Cinigrad, Yuktobania's capital city. On November 14th the Hrimfaxi was sunk by the Sand Island Detachment of the 108th TFS, earning them the nickname "The Demons of Razgriz" among Yuktobanian troops and allowing Osean forces to progress towards the capital. The Osean offensive continued northward through late November, but war-weariness had set in among both nations' civilian populations. Vice President Appelrouth attempted to raise flagging Osean morale with a pro-war speech in November City, but it was interrupted by a Yuktobanian airstrike intended to assassinate him and kill the "Demons of Razgriz," who contributed to the rally with a flyover. 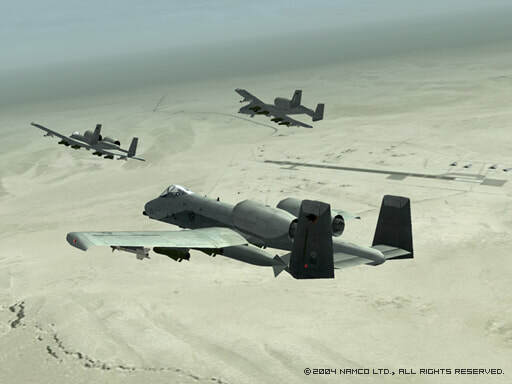 The 8492nd again intervened, disrupting reinforcements inbound for the 108th. Appelrouth and the attendees were unharmed, but the 108th lost one of its pilots before the Yukes were repelled. Osean expeditionary forces had their progress impeded in early December, faced with a mountain pass defended by Yuktobania's Cruik Fortress. Two attempts to overrun the fort were unsuccessful, until the 108th provided air support on December 6th. With the road to Cinigrad laid completely open, the Grey Men worried that the 108th's competency could lead to a decisive Osean victory. The 8492nd lead the 108th into a trap, but the squadron escaped unscathed. When they returned to Sand Island, the 108th found themselves branded traitors by a Belkan agent within the 5th Wing. 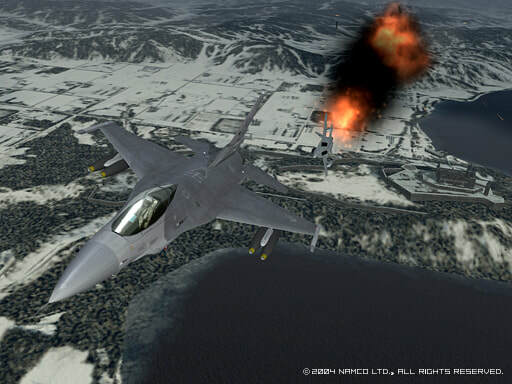 Pursued by the 8492nd, the 108th was intercepted and shot down by the OFS Kestrel's VFA-206 over the Ceres Ocean. With the 108th missing in action, Osean forces were denied of the squadron's exceptionally effective air support and became bogged down on the outskits of Cinigrad. They were eventually encircled from December 16th until the end of the war. 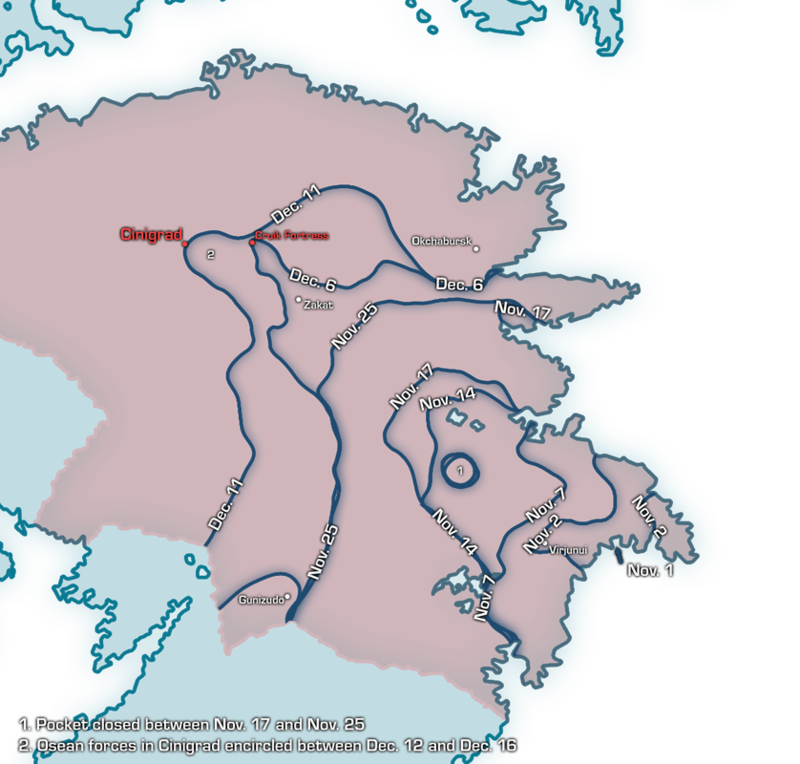 The farthest advance of Osea's expeditionary forces. Decimated by continuous operations against Yuktobania, the OFS Kestrel, her battlegroup, and her lone surviving pilot were reassigned to a remote northern naval station prior to the 108th's disappearance. Their intelligence ship had intercepted Belkan transmissions, leading to their seizure of a Belkan ship delivering arms to Yuktobania. Sensing that something was amiss, the carrier's captain responded to the 108th's apparent treason by dispatching his last pilot to stage their shootdown, allowing the pilots to bail out and be rescued by the Kestrel's marines. Piecing together the evidence, the remnants of the 108th and Kestrel battlegroup resolved to expose the Belkan plot and end the war. Their first operation came on December 9th, rescuing President Harling from Belkan captivity. 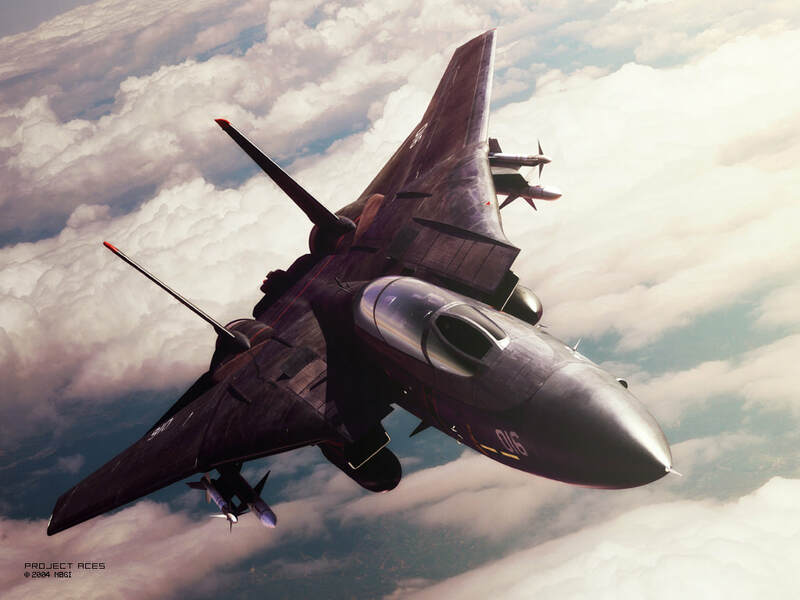 Taken aboard the Kestrel, he officially sanctioned operations against the Grey Men and rechristened the 108th as the Razgriz Air Command Squadron. 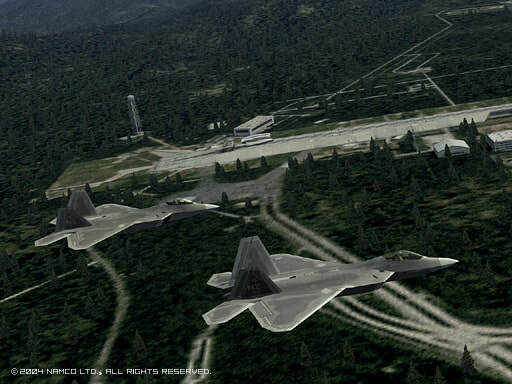 The Razgriz identified and destroyed a Belkan nuclear weapons storage facility that had been reactivated by the Grey Men, but only after several nukes had been removed from the facility. The first nuke was delivered to Yuktobania, but intercepted by liberal activists opposed to the junta. On December 16th, the Razgriz penetrated Yuktobania's integrated air defense system and defended the activists from Yuke spec ops and Belkan fifth columnists. 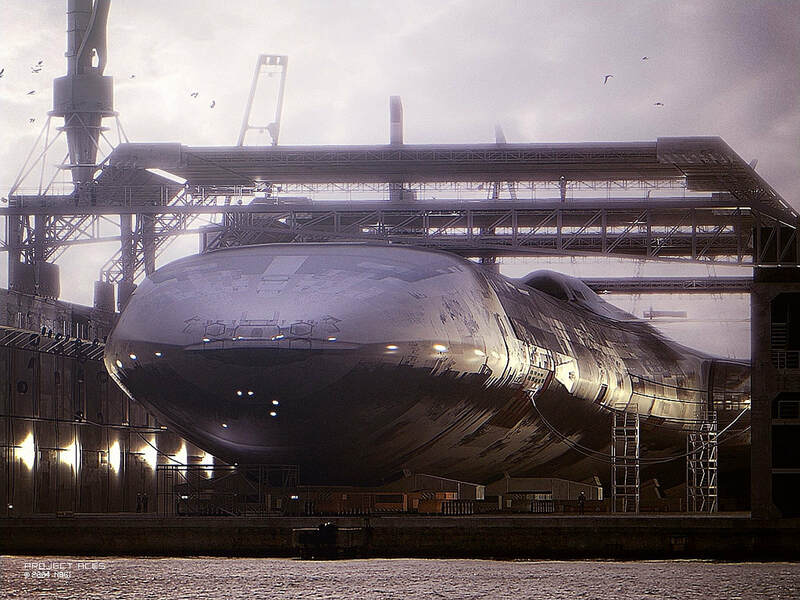 On December 19th, the Razgriz acted on intelligence that the Arkbird had been compromised by Belkan hijackers and armed with the second nuke. 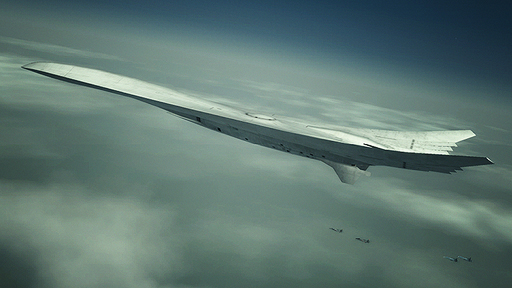 They intercepted and destroyed the Arkbird over the Ceres Ocean, preventing it from launching a nuclear attack on the major Yuktobanian city of Okchabursk. Pushed to act overtly by the Belkan's drastic measures, Harling attempted to reach out to the Osean people over the radio, but his broadcasts were censored by Appelrouth and the military as seditious propaganda. He decided to return to Oured, seeking to depose Appelrouth and restore his legitimate control over the Osean government. As Harling departed the Kestrel, the Razgriz were contacted by a Yuktobanian resistance cell led by their former captain - a Belkan War veteran who went missing hours before the conflict started. The Razgriz assisted him in liberating Prime Minister Nikanor and shot down the 8492nd, who attempted to obstruct their operation. The Kestrel steamed south from her post, and Nikanor was successfully extracted to it. On December 29th the Kestrel battlegroup was simultaneously intercepted by Yuktobanian and Osean fleets, both loyal to their respective juntas. 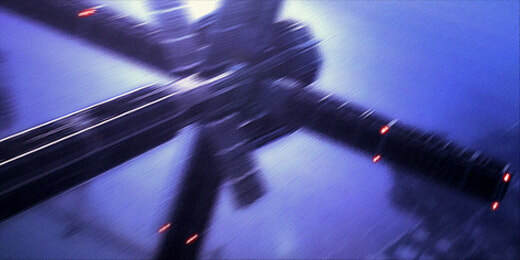 Although Nikanor was able to convince several Yuktobanian ships to defect, the vast majority of the Yukes and the entire OFS Barbet battlegroup remained hostile to the Kestrel. Despite overwhelming odds, the Kestrel battlegroup sank both fleets and dispatched Nikanor to join Harling in Oured. The next day, the Razgriz discovered that a Belkan MIRV bus equipped with several warheads had been fitted to the Strategic Orbital Linear Gun (SOLG), an Osean orbital weapons platform believed to have been abandoned at the end of the Cold War. While the Razgriz prepared to sortie, the Kestrel was struck by several submarine-launched anti-ship missiles. The Razgriz managed to launch all four of their aircraft, but the Kestrel was irreparably damaged, sinking soon after. As the Razgriz approached the SOLG's control center in North Osea, Harling and Nikanor held a joint press conference in Oured, revealing the Belkan plot, declaring an end to hostilities, and imploring their forces to assist the Razgriz. Many Osean and Yuktobanian forces came to the Razgriz's aid, but the Belkans offered a third nuke to coax pro-war elements on both sides into helping defend the complex. Ultimately the Razgriz succeeded, but accidentally activated the SOLG's fail-deadly measure. With communications from its control conter cut off, the SOLG began to deorbit on a trajectory towards Oured. The Razgriz sortied one final time, destroying the SOLG after it entered the atmosphere and bringing the Circum-Pacific War to an end in a spectacular display over Oured. The initial declaration of armistice between Harling and Nikanor was met by some confusion by forces deployed in Yuktobania, where command and control had begun to breakdown. Some units stubbornly refused the order and began building barricades to continue fighting. But most units complied with their civilian leadership and the fighting for the most part was over in a matter of days. The reconciliation between Osea and Yuktobania at the end of the war was seen as fulfilling the promise of detente. With a new sense of international brotherhood being instilled from fighting the Belkan conspiracy, as well as the more militant factions in both nations being removed from power and discredited, it was believed to be a definitive closure on the Cold War era. Osea would continue to maintain a global military presence following the war, including military bases in southeast Usea and a leading role in the IUN mission defending the International Space Elevator. 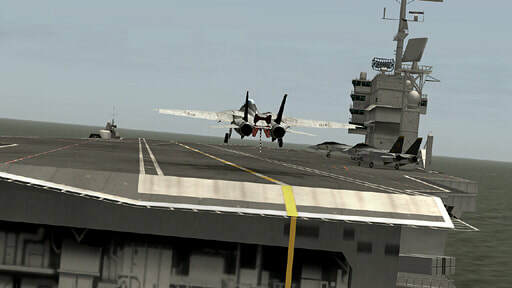 F-14s operate off of CVN-28. 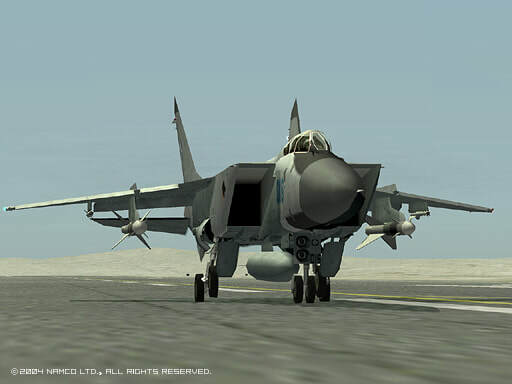 An F-14 operated by the Razgriz.